Length: 8 hours, 38 minutes. Unabridged. The idea of an Austen escape, as described in this book, sounds absolutely fabulous. Dress up in period dresses, do period activities, and make believe you’re in Jane Austen’s novels? Does this place or one like it actually exist? I have no idea. But I love the idea of it, and would love to participate, if given the chance. The characters in this book feel real, and relatable, and vulnerable. And I’m about as much smitten with them as I was by the characters in Reay’s first novel, Dear Mr. Knightley. In fact this book, reminds me a great deal of the things I loved about that first book. Bravo! The introduction to various relevant Austen characters at the beginning of the book had me a bit nervous that perhaps I would need to brush up on my Austen trivia to keep up with all the names. Or at least take notes on the introductions, since in audio format I wouldn’t be able to easily refer to that cheat sheet later. But no, as I continued reading, I discovered that I needn’t have worried. Everything you really need to remember about specific Austen characters to follow this story is made clear at relevant points within the context of this book itself. Whew! I consider this book a must read for any fan of Jane Austen’s novels. And really anyone who occasionally enjoys dressing up and playing make believe. Also, for anyone who enjoys a good romance in general. The lovely British (and American) accents employed by the narrator of the audio edition are icing on the cake to an already beautifully written text. The narrator’s reading is pleasant, comfortable, and emotionally engaging. I highly recommend the book, and most especially the audiobook. 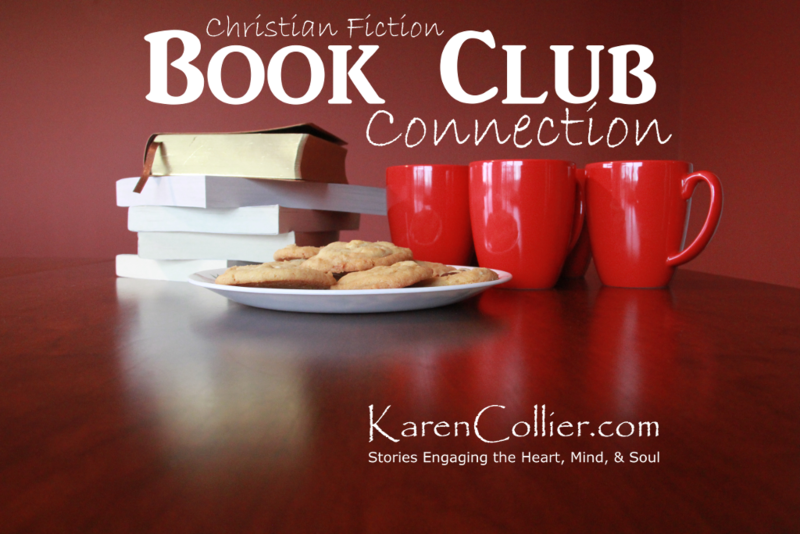 Welcome to the February 2018 edition of the Christian Fiction Book Club Connection. Thanks for stopping by! Whether you’re a pastor or ministry leader thinking of forming a book discussion group at your church, a current member of a book club, or simply a fan of Christian fiction hoping to connect with other readers, you’re in the right place. Please consider subscribing to my blog so you won’t miss future posts. The ACFW Book Club‘s February selection is Stars in the Grass by Ann Stewart. You can subscribe to the group’s e-mail list now, by following the instructions on their Web site, to be sure not to miss any announcements or discussion questions. By the Book is an in-person book discussion club that has introduced an online Facebook-based discussion option. To join in online, like the By the Book Facebook page, and be sure to check back there periodically for any discussion that may not have made it into your news feed. February’s selection is Missing Isaac by Valerie Luesse. For February, the Christian Fiction Devourers group on Goodreads is discussing The Illusionist’s Apprentice by Kristy Cambron AND Heart on the Line by Karen Witemeyer. Grab your copies and head on over to the discussion forum to check in with others who are in the midst of reading these books. The Fans of Amish Fiction Goodreads group discusses one Amish fiction title per month. The selection for February is The Amish Widow by Katie Fisher. To join in, visit the group’s online discussion board.